Ford promises that the independent rear suspension improves handling, ride and steering precision on the all-new ‘Stang. Sporting an all-new chassis, the 2015 Ford Mustang has seen its roof lowered 1.5 inches, the hood 1.3 inches and the dashboard about 2.8 inches for a much sleeker design compared to its predecessor. 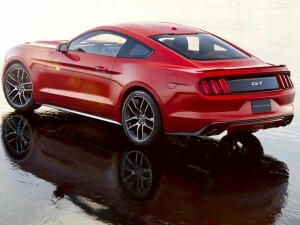 It also sports independent rear suspension, a first for the storied Mustang. While traditional Mustang enthusiasts will groan over the thought that the Mustang no longer has a solid rear axle, Ford promises that the independent rear suspension improves handling, ride and steering precision on the all-new ‘Stang. 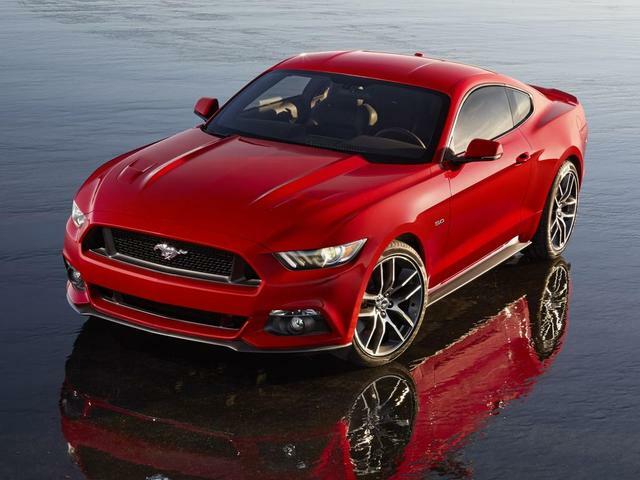 As for powerplants, the 2015 Mustang will come standard with a 3.7-liter V6 with 300 hp while a 2.3-liter turbocharged four-cylinder EcoBoost engine will be available with at least 305 hp, according to Ford. Then of course, there’s the top-of-the-line 5.0-liter V8 that will be rated at “more than 420 hp,” though official specifications have not been announced. Tweaks were also made to the front roof pillars in order to offer better front visibility on the 2015 Mustang while the passenger airbag has been moved to the glove box door, getting rid of the separate panel typically found on the dashboard. As for the convertible model, which will be released nearly at the same time as the coupe, Ford boasts that it’ll have the fastest top on the market lowering or raising in just seven seconds. The convertible will be operable at speeds up to 5 mph. And while minor, it’s worth mentioning that the 2015 Mustang’s front seats now feature “memory recline,” which will return to the driver’s preferred seating position after being moved forward in order to get the rear passengers out of the coupe.